Phang Nga Bay: Phang Nga Bay (Ao Phang Nga), registered a National Marine Park on April 1981 after Tarutao National Marine Park, covered from seashore till coastal area. The tropical rain forests are dotted along the shoreline. Nevertheless the most impressive of them is a dramatic bay painting with more than hundred islands, bizarre shaped out cuts formations striped in twister of them, greenery mangroves and occasionally uninhabited. 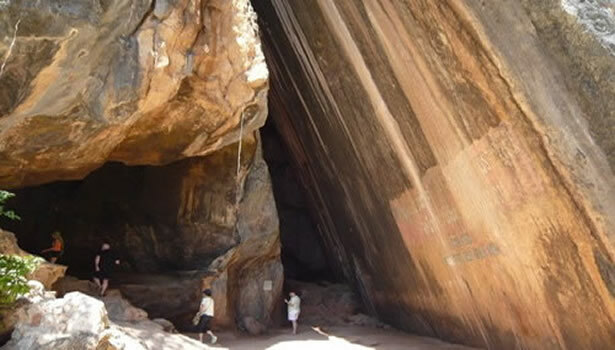 Many of them have a remarkable features, such as Khian Mountain (Khao Khian), being prehistoric rock painting over 3000 years shown on the cliffs. Khao Ping Khan (Leaning Mountain): Local called a name by the outstanding appearance which the nature is split into two halves. The small parts slide down with its formation stuck under the floor and the upper one are still leaning against each other. Behide the Phing Khan moutain is a very spectacular viewing. Looking into the sea, you will touch the Tapoo Mountain. 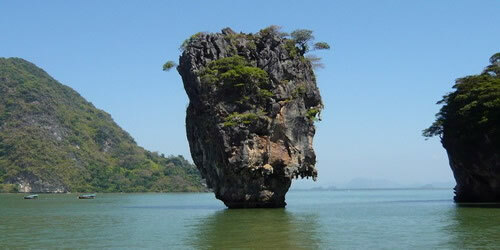 Khao Tapoo (Tapoo mountain or nail mountain): (Tapoo means nail in English) or else “James Bond Island” which the Hollywood film ‘The Man with the Golden Gun’ was starred here. Many tour organizers operate the excursions to those islands, some starting either from Tha Dan on mainland of Phang Gna province. Panyee Island (Koh Panyee): This island is a place where a Muslim fishermen village built on. On Panyee Island has many restaurants and souvenir shops. Either bungalows or home-stayed is prompt for over night visitors. For more information please contact the local operators. 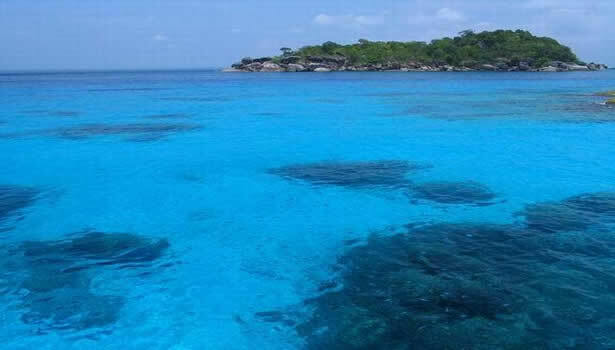 A group of Similan Island (Mo Koh Similan): Which are preserved as a National Marine Park in September 1982, as Phang Nga bay, expanding an area of more than hundred kilometers. 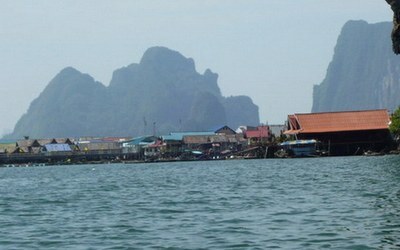 Boat-riding is three hours from pier (mainland in Phang Nga). A group of these Islands comprises of nine islets. In fact, Similan is Yawi or Malay word meaning nine or a group of nine islands). Stretching from north to south i.e.Bon, Bayu, Similan, Payu, Miang (two adjoining islands), Payan, Payang and Huyong Islands. 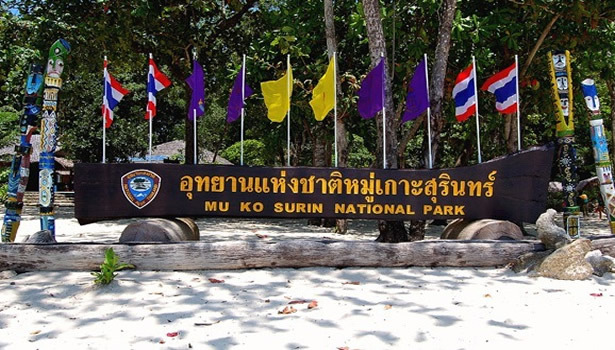 The National Marine Park office is located on Miang Island. By the way, those islands are granite, aren’t limestone making them so quite fascinating. They are very uniquely different; however, Similan’ reputation is 30 excellent and distinctive diving sites which plenty of coral reefs, stony sea floors, rock reefs. 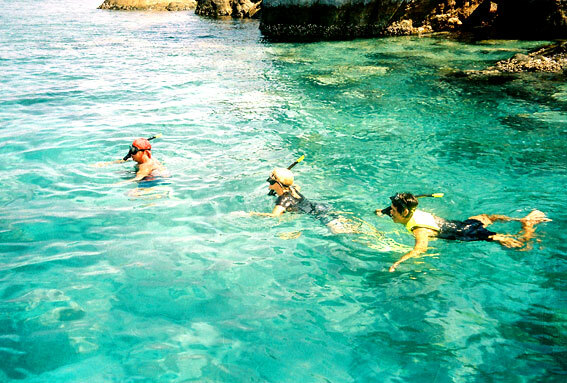 Snorkeling in the sea or scuba-diving through under water world are interesting opportunities features visitors can experience. The best time to travel is November to April. 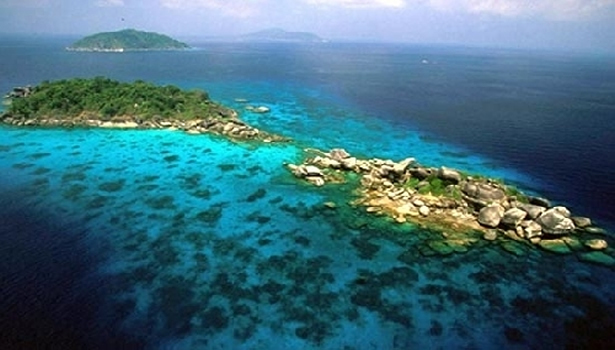 A group of Surin islands (Mu Koh Surin): It Is declared a National Marine Park on July 1981, of which five Islands i.e. North Surin, South Surin, Ri, Khai, Klang Islands. 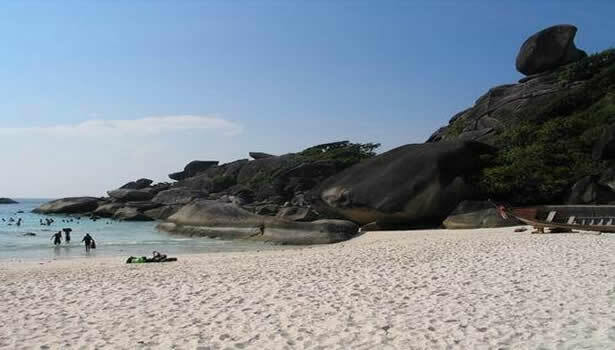 It is almost one hundred and fifty kilometers of mainland located northward of the Similan Islands. 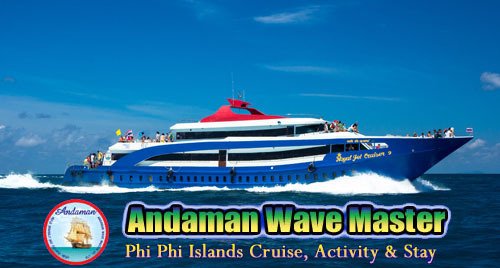 It is situated on the Andaman Sea, closed to Thai-Burmese sea border, to the west coast of the Kingdom of Thailand. Travelling takes time around 4 hours by boat-riding at Khura Buri Pier in Phang Nga town- likewise, the best activities are scuba-diving and snorkeling, cause the under water world marine lives are very dramatic hard to describe and the sea water condition is quite suitable for sea sporting: snorkeling and scuba-diving. Fortunately, there are two largest islands, namely North Surin and South Surin Islands. It is very great trip to take a walk on North Surin Island to explore the nature trails and experience the sea-gypsies live on South Surin Island. The best time to visit those islands is November till April as well. 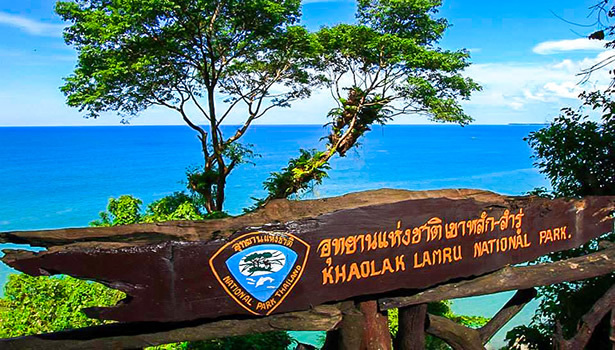 Khao Lak-Lam Ru National Park: It comprises with a number of interesting attractions such as Khao Lak Beach, Nang Thong Beach and Bang Niang Beach. All of them are covering a big area, coloring both mountains and coastal atmosphere. 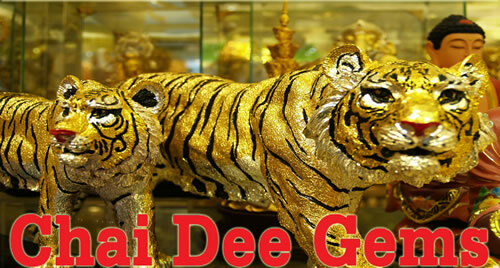 On Khao Lak Mount is quite famous for the Chao Pho Khao Lak ( Khao Lak Shrine), showing respect him you will be lucky. Anyway, Lam Ru Waterfall composes of five cascading. Lampee Mountain and Thai Mueang National Park are very interesting program that you shouldn’t miss. The main attraction is Lampee waterfall which is a medium sized cascade. It has three layers about hundred horizontal meters high. Moreover, the large one, Ton Phrai Waterfall is streaming all year round. Diving: Phang Nga’s location and character is clean clear sea water, no muddied by the action of currents, rivers or streams. It has a vast and thriving scuba diving trade. Scuba diving can be learned in a matter of 1 or 2 days, and lessons and license are issued by fully accredited teachers. Sea Canoeing: It is an adventure for exploring the mysteries of grottos and llimestone islands which rise stunningly from the waterways of mangrove forest around Phang-Nga Bay and Krabi. The expedition can be reserved through travel agents. Phang-nga has many sites of beautiful diving sites, still the most famous around the world. 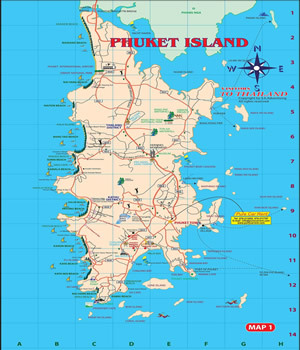 Phuket is Thailand's largest island, a province in southern of Thailand, same size as Singapore. 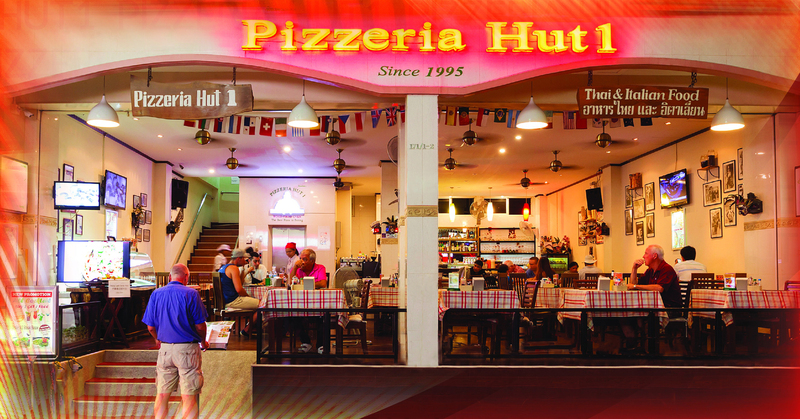 We have listed many more delicious food and the excellent restaurants in Patong, Kalim beaches and around Phuket Island.